Curio is an exhibition platform that invites designers, architects, curators, innovators and gallerists to present total environments of objects, textures, artifacts and ideas that challenge and contextualize familiar design narratives. Curios are interspersed amongst Design Miami’s gallery program, infusing the fair with inventive snapshots of today's design landscape. 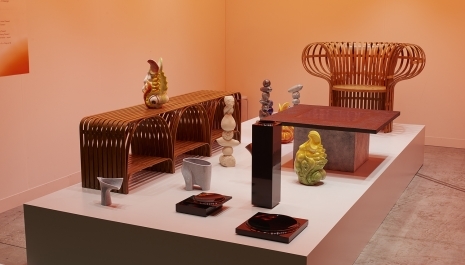 Curio proposals will be accepted for twentieth and twenty-first century design exhibitions with an emphasis on surprising presentations of scientific and technological research, handcraft and creative production. Each Curio booth should be designed as an immersive installation. Applications to the Curio program at Design Miami/ Basel 2019 are now closed.